First, a Rainbow Trout (the eye, Oncorhynchus mykiss) about to eat a Callibaetis mayfly, taken a few days ago. The mayfly is in the act of laying eggs, clearly seen in the photo. Callibaetis mayflies have the notable property that their eggs hatch almost immediately after being deposited. There’s a cool video of this, but I can’t find it. 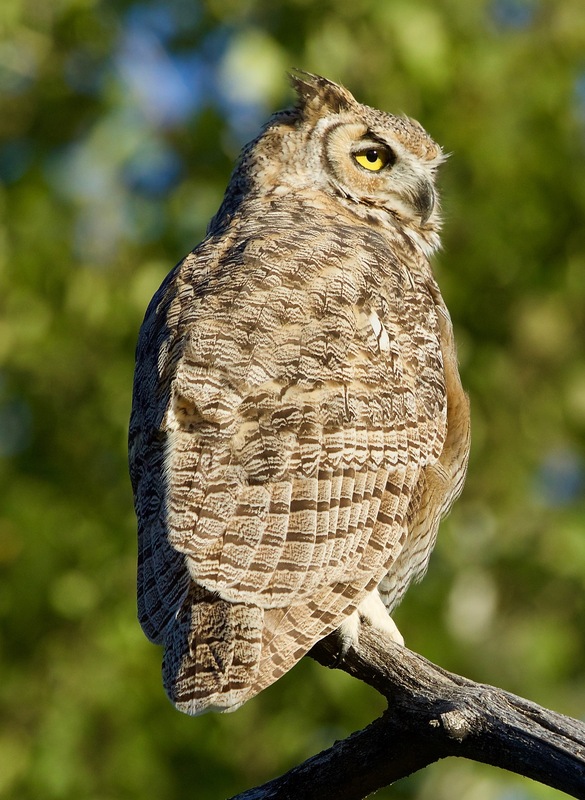 Next, taken this morning, a Great Horned Owl (Bubo virginianus). Finally, also this morning, a bull Elk (Cervus canadensis), with out-of-focus Sandhill Cranes (Grus canadensis) in the background. This 6×6 antlered specimen would be considered a trophy because of symmetry of the rack. This time of year (the mating season) a large herd finds refuge on my place. This fellow was bugling enthusiastically before I shot the photo. I don’t allow hunting, even though they damage the crops and “depredation” permits are easy to come by — I get LOTS of requests. I do allow hunters to track a wounded animal onto my property. JAC: You can see a video of a loudly bugling elk here. Last week my wife and I were camping in the Timber Creek Campground on the west side of the Rocky Mountain National Park. 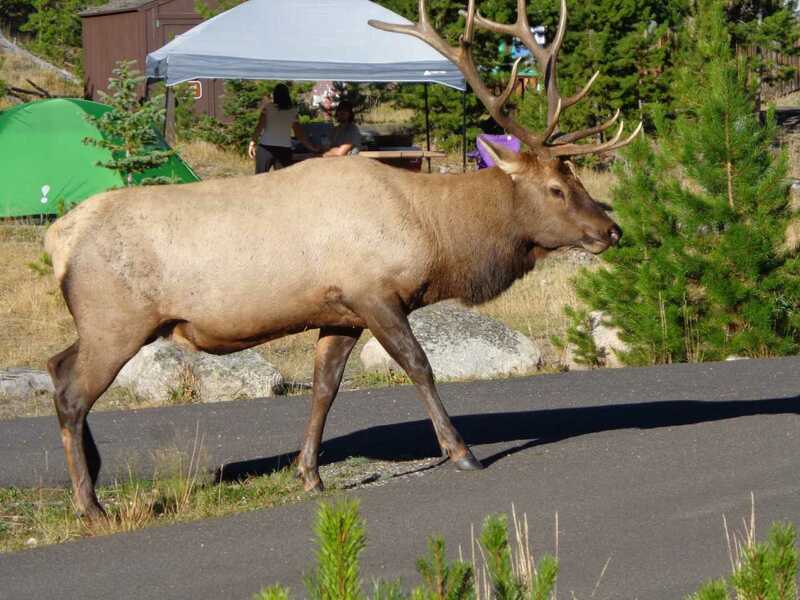 As you can see, the elk like hanging out in the campground. At night, four elk cows were grazing and later bedded down near our tent. I had to shoo two of them away to make my way to the outhouse. This entry was written by whyevolutionistrue and posted on September 18, 2018 at 7:31 am and filed under birds, fish, mammals, photography. Bookmark the permalink. Follow any comments here with the RSS feed for this post. Both comments and trackbacks are currently closed. Stephen, how many acres do you have there? 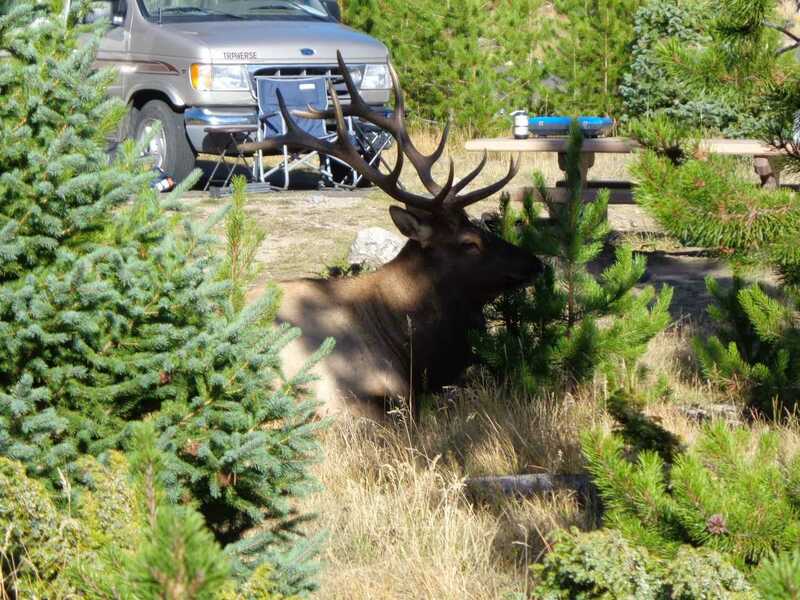 Have you noticed any changes in the elk behavior since the wolf reintroduction? I know that many Idahoans aren’t keen on the wolves (*cough*gubernatorialdebates*cough*),but haven’t heard from anyone on the ground there. Wolves aren’t common in this agricultural bottom land. If they are seen it’s shoot, shovel, and shut up. They’re quite common in the surrounding mountains, where the sheep ranchers complain about them. The main complaints about wolves come from hunters, and I believe it’s true that they’ve caused hunting to be more difficult, because the elk are more wary, move around more, and (anecdotally) bugle less. That’s just too bad for the hunters, in my opinion. 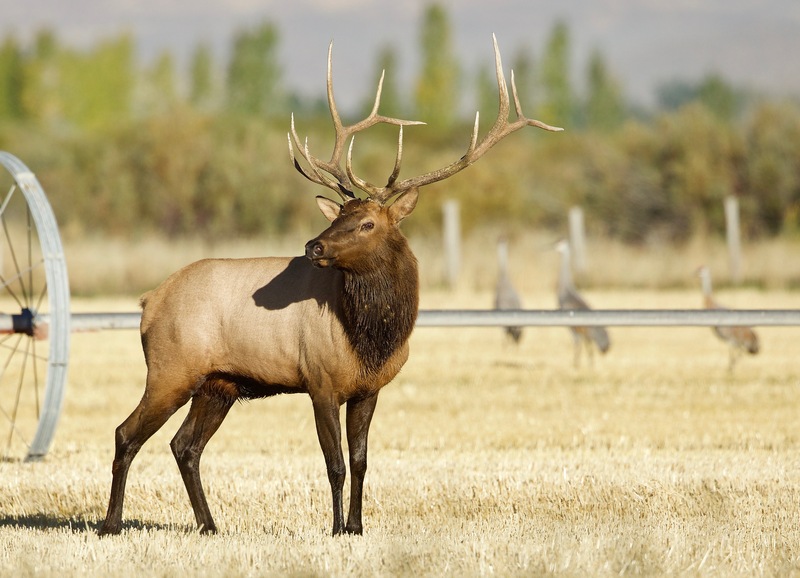 Shooting an unwary and lethargic elk would rather take the sport out of it, imo. Take some pride in your craft, hunters! What I don’t get about the livestock farmers complaining is there are anti-wolf strategies that have an excellent efficacy rate. Herd-protecting dogs do a great job. Livestock hands also work well (and you’re creating jobs!). It makes their job harder and more expensive. For example, lambing can be done in lambing cribs or in pasture. In pasture is less labor intensive, but the wolves make it perilous. True. However, the real threat to those lambs (if Capital Press it to be believed) are eagles. Now that the populations have rebounded, and it is illegal to harass (or haze) them without a permit, they are feasting on lambs like never before. Feasting on lambs is getting even for all those eggs that didn’t hatch. 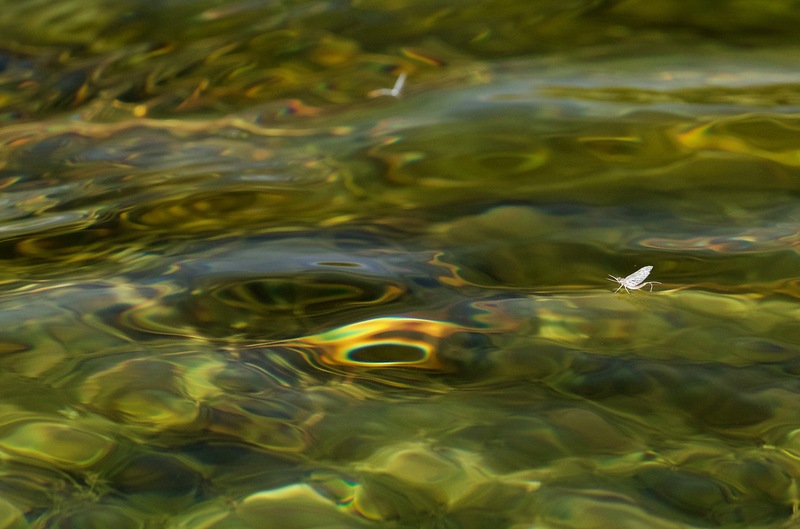 I absolutely love that mayfly photo. I’d frame it and hang it in my house. Who would shoot something like that? Not someone you would want on your property. I assume then the the mom simply dies and becomes a snack for any fish that happens by. The young must be preyed upon, in turn, by tiny predators in the water column. Damselfly and dragonfly larva take their toll on mayfly nymphs. That’s cool video, but not the one I was thinking of. The mayfly isn’t a callibaetis. Idaho is such a lovely state. Think I shall have to plan a trip soon. These are terrific photos. I think “The Eye” could make an awesome painting. 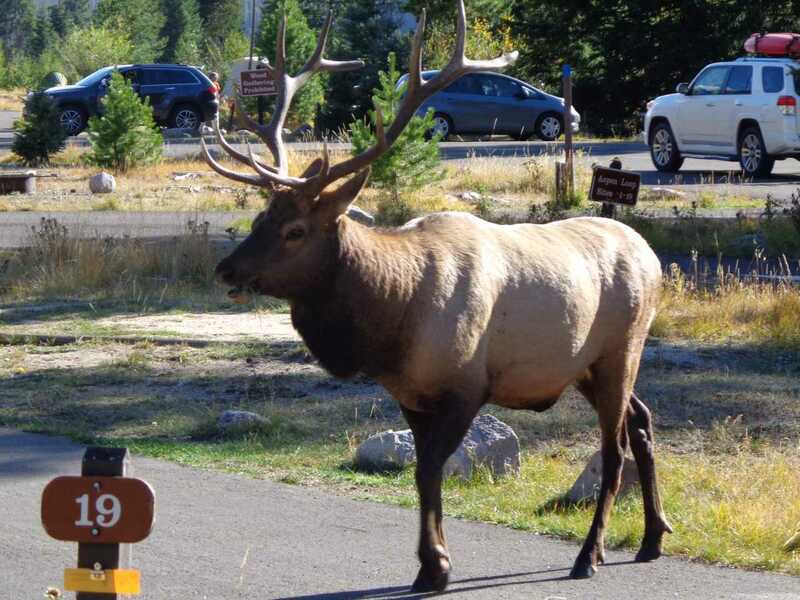 I love Rocky National Park…I’ve visited 3 times and saw elk every time. They are impressive animals, and I’m glad they’re docile. Do you ever get the chance to that the 12 east and head through Packwood? 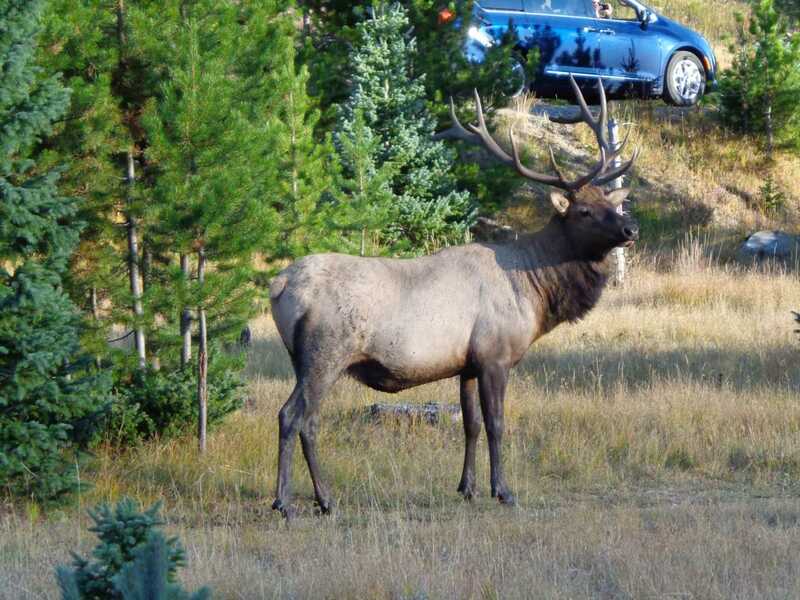 I see elk every time I go through, moseying along, chillaxing (as the kids say) in people’s yards and parking lots. Gentle giants, indeed. No, I haven’t been through Packwood, but now I want to! I googled it and it looks like a lovely area and city. Thanks for the tip. I usually head east on 2 or 90 since I’m 35 miles north of Seattle. It is a really lovely drive, not during fire season. I love coming out by the Naches river (north of Yakima) and the mountain drive isn’t bad at all. When moving cross state last summer, I made the trip a number of times and it was always a pleasant one.